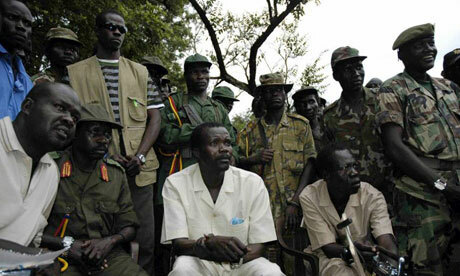 LRA leader Joseph Kony surrounded by senior LRA combatants. This photo was taken as peace negotiations to resolve the conflict in northern Uganda were ongoing. Perhaps no nation has witnessed so impassioned a debate on the relationship between peace and international criminal justice as Uganda. Northern Uganda, a case many believed the Court could “cut its teeth” on, sparked a fierce discussion, popularly referred to as the “peace versus justice debate”. This debate not only animated domestic politics but also the international discourse grappling with the effects of pursuing international criminal justice on the establishment of peace. The debate on the relationship between peace and justice largely remains harshly dichotomous and black-and-white. Either international criminal justice fundamentally disrupts the potential for creating peace or it is an absolute necessity for it. The attempted middle-ground which calls the peace-justice dichotomy “false” rarely offers any explanation as to why it’s false. Northern Uganda may beour best opportunity to move beyond the rigidity of the peace versus justice debate. This post is an attempt to explain why this is the case by making two broad arguments: first, that the effects of the ICC on narratives regarding the dynamics and causes of conflict has profound implications on attitudes towards the relationship between peace and justice; and second, that the effects of the ICC on pre-negotiation dynamics as well as on negotiations themselves are distinct and should be analyzed as such. The LRA are vile and brutal terrorists led by a mystical and crazed socio-path, named Joseph Kony. They have waged an atrocity-ridden war against a legitimate, democratic government with a liberal economy and which is a trusted regional partner in the war on terrorism. In a nutshell, that is the mainstream narrative of the 25-year old war in northern Uganda. It combines grains of truths and blatant misrepresentations, but I’ll be damned if it doesn’t sound convincing. This narrative clearly lays out who is to blame, who is guilty and who we ought to support. 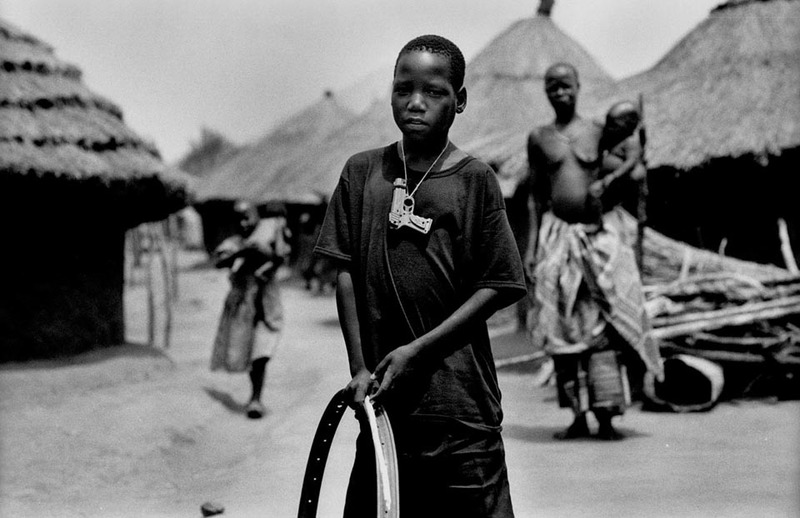 But it simply does not resonate with the people of northern Uganda nor reflect their lived experiences. It also does not make much sense to those who have critically examined the conflict between the government and the LRA. There is zero doubt that the LRA have conducted war with the most vicious and egregious tactics. This is beyond contention, even amongst the harshest critics of the ICC’s involvement in Uganda. Adam Branch, an outspoken opponent of the Court’s role in the conflict, has maintained that the LRA is guilty of “terrorist subjugation” and “unambiguously evil” and is “synonymous with a reign of terror against children”. Yet, it is impossible to study the subject and not come across vivid accounts of government atrocities and human rights abuses. However, to date, there is no evidence that these crimes have been properly investigated by the ICC’s Office of the Prosecutor. It may be that many (although not all) of the government’s worst violations of international criminal law were committed prior to 2002, beyond which point the ICC cannot investigate. This, however, brings up its own political problem for the ICC: should the Court investigate crimes committed in conflicts with origins and dynamics reaching far before 2002? As I have argued before, the ICC should think twice about investigating situations with roots long before July 1st 2002. If the ICC is understood as an institution which needs both legal and political legitimacy in order to be successful, investigating only the last bits of a conflict may be a recipe for disaster. It may make sense to international lawyers and diplomats in their New York offices that ICC investigations of events prior to July of 2002 are impossible. But it is nothing short of arbitrary to the citizens of northern Uganda. Surely that matters. The result of the decision by the ICC to intervene in a complex conflict which long precedes 2002, and not investigating the Government of Uganda has played into the misinformed narrative outlined above. The LRA, in this context, are not only brutal terrorists but international criminals fighting against an internationally supported government. The attention brought by the Court’s involvement in the situation in Uganda and especially its arrest warrant for Kony were no doubt important in drawing the attention of otherwise disinterested parties to the conflict. But in the world of conflict resolution, starting with an inaccurate premise of the nature and dynamics of a conflict is surely a recipe for failure. 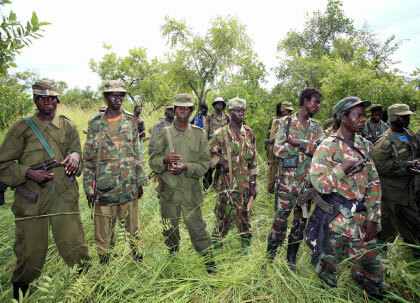 LRA rebels in "the bush"
The experience of the ICC judicial intervention in Uganda makes clear that the effects of international criminal justice prior to the initiation of peace talks and during negotiations are distinct and need to be assessed as such. It is beyond the scope of this post, but it may be that the ICC positively contributed to getting the warring parties to the table but negatively affected a successful outcome of the talks. 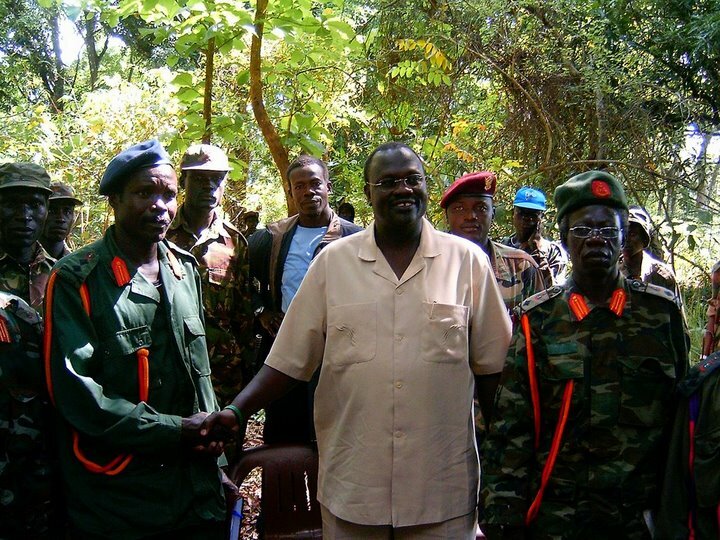 International attention and the possibility that Kony believed that engaging in negotiations could result in the removal of the arrest warrant against him may have convinced the LRA to come to the negotiating table. However, the inability of reversing the arrest warrants and distrust of the process by Kony, fueled by the fact that he did not personally attend the talks and that the LRA was treated as having illegitimate aims and views, may have resulted in their ultimate failure. This, however, relies heavily on the assumption that either the government of Uganda or the LRA rebels negotiated in good faith – a shaky assumption at best. I hope I have been able to demonstrate some of the issues that have informed and animated the peace-justice debate in Uganda. How the ICC effects politically constructed narratives on the nature of a conflict’s dynamics and causes, and the ICC’s implications on pre-negotiation and official negotiation phases of a peace processes are essential elements in understanding how international criminal justice affects peace. These are keys to unlocking the rigid and dichotomous attitudes between peace and justice and to expanding our understanding of how international criminal justice does, and does not, affect efforts to build and maintain peace. This entry was posted in Human Rights, International Criminal Court (ICC), Justice, Lord's Resistance Army (LRA), Peace Negotiations, Peace Processes, Peacebuilding, Transitional Justice, Uganda. Bookmark the permalink.